Concord waste is a known name when it comes to asset disposition. We ensure that there is no impact on the environment and data security at the time of disposition of the assets. Along with this, we also provide the optimization of value recovery on all the IT asset investment for various businesses and companies in the area. We are the proud providers of complete disposition of IT assets and other services related to it. The services we provide include data security and destruction, e-waste recycling, re-marketing, free pickup and drop off, buy-back program along with a number of other services. Our company is also an expert when it comes to the recycling of the equipment in an eco-friendly way. Concord e-Waste is associated with many non-profit organizations and organize free drop off for e-Waste materials and participate to keep our environment healthy and livable. Concord E-waste is always available to help you to reduce, reuse and recycle all your E-waste and help to improve our environment by saving money, energy, and natural resources. Electronic recycling made easy. 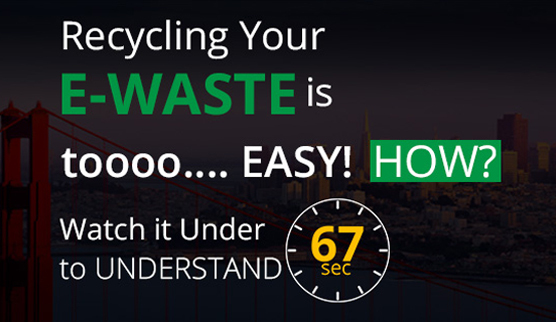 We offer a fast efficient cost effective e-Waste removal service for both residential and commercial clients throughout East Bay, Silicon Valley and Concord.